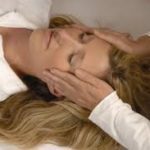 Experience the wonder of asking questions to release limiting beliefs while you receive a treatment on 32 points on your head. This technique has been proven to change people’s lives by releasing limiting beliefs and reconnecting the heart and the mind. Come experience for yourself. One treatment will help you make a decision if it works for you.